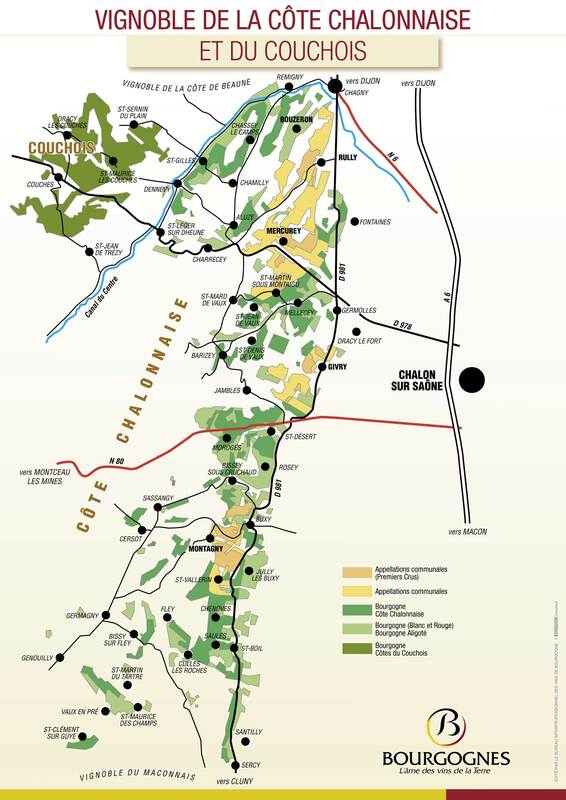 Cote Chalonnaise is probably the least well-known of the five regions in Burgundy. It produces some crisp Chardonnays as well as some fruity Pinot Noirs. Great values can be found in this “sleeper” region of Burgundy. The Cote Chalonnaise is also the home of Bouzeron, which makes some very special Aligote (the other white grape in Burgundy) wines as well as Rully, which makes some excellent Cremant (sparkling) wines. My wines from this region come from only 2 prestigious families. One is the former mayor of Rully, who is the recognized expert in making Cremant. The other is one of the most storied families in Burgundy. They produce great value in both red and white wines. Please call us to learn more about our Cote Chalonnaise Wines and their availability.